The Long Riders’ Guild represents the mounted equestrian explorers and long distance travellers who roam the world, such as Long Rider Catherine Thompson (above) who made several journeys across the plains and mountains of Canada. Whereas the importance of equestrian travel was recognized in past centuries, by the time the Guild was formed in 1994 this ancient form of transport was imperilled. Many Long Riders have commented on the Guild efforts to protect mankind’s treasure trove of equestrian travel wisdom. One such example is North American Long Rider Douglas Preston. Doug (right) is usually associated with the immensely popular fictional books he has written, several of which have appeared on the New York Times best-selling list. But he is also the author of a modern classic in equestrian travel literature. During his travels Doug discovered that the desolate country remained so untouched that it was still recognizable from descriptions in the reports written by the Spanish explorers. This ardent historian and experienced explorer shared these thoughts about the importance of equestrian travel and the Guild. Doug wrote, "Over thousand of years, human beings and horses developed a profound relationship, one that has probably become embedded in our very genes. Our ancestors used horses for travel, for war, for peace, for trade, for work, and for play. But of all the uses humans have put horses to, the greatest and wisest has been for exploration and discovery. From Marco Polo to Coronado and beyond, horses were almost always part of the great human adventure of exploration and long distance travel. In the twenty-first century, however, we have seen a tremendous growth in arena events, rodeos, and breeding for the show ring. 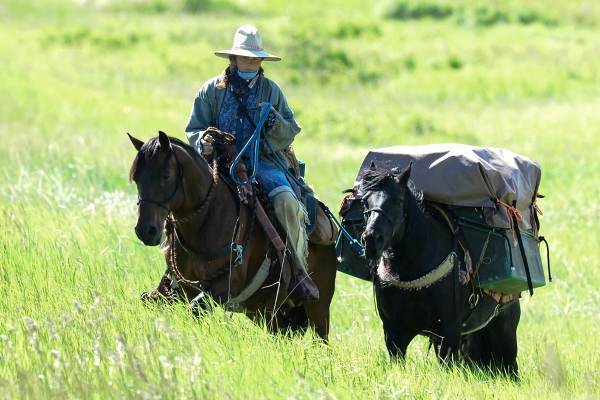 The timeless equestrian traditions of exploration, discovery, and long-distance travel have been neglected except by a few hardy individuals who continue to make horseback journeys covering thousands and even ten thousands of miles. 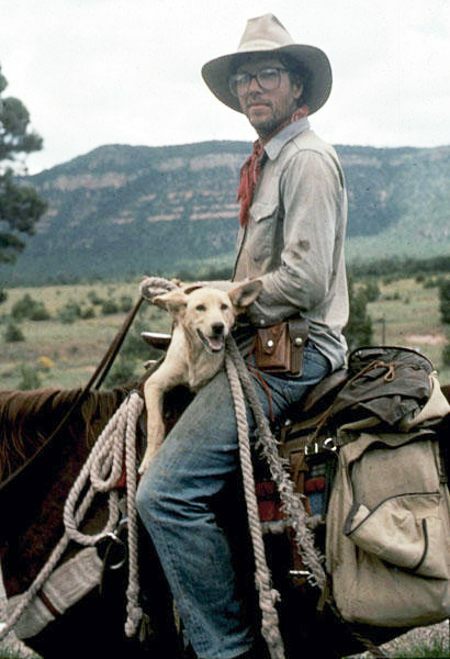 They accomplished these astounding journeys not for publicity or money, but for the pure love of horses and adventure. The Long Riders' Guild, founded by just such a group of long-distance riders, is the only organization dedicated to reviving and continuing this venerable tradition and its philosophy. The horse was not bred for the arena. The true rider and the true horse are created, not in the training ring, but in the mountains, deserts, and forests of our great world. When horse and rider journey thousands of miles together and must trust each other with their very lives – that is when true rapport begins. When horse and rider have to ask from each other more than they can give – that is when they reach a level of understanding and empathy that goes beyond words. Only through long-distance travel can horse and rider find the true measure of their courage and endurance. This is the essence of the horse tradition of our ancestors and one that The Long Riders' Guild has brought back from the brink of extinction. Horses have shaped the destiny of our species, as we have shaped the destiny of theirs. I am immeasurably grateful to The Long Riders Guild for maintaining this oldest and greatest of horse traditions, and for doing it with such integrity and resolve." Here are links to the horse-humans who founded the Long Riders’ Guild and the Members residing around the world. Connecting the world's equestrian travellers with the traditions of their past!